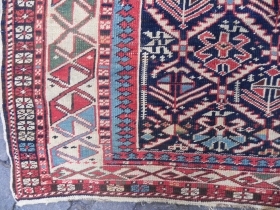 active since April, 30, 2007.
price: Happy Holidays & New Year to all.. 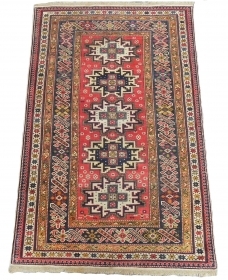 Antique Caucasian Karatchoph (Karachov or Karatchopf) Kazak Rug, 4 x 7.5 ft (122x230 cm), 19th century, excellent original condition. 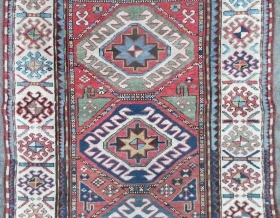 An Early Caucasian Kazak Rug, 4.10x7.9 ft (152x240 cm), first half 19th Century. 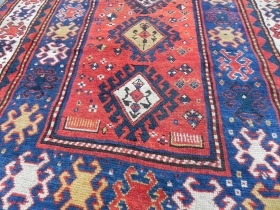 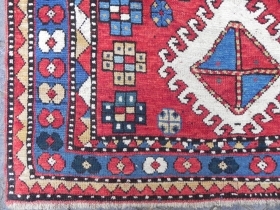 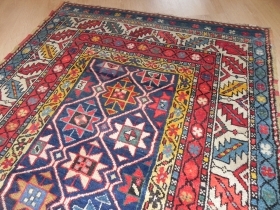 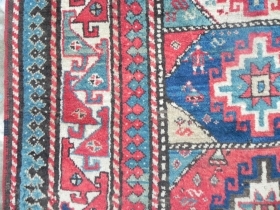 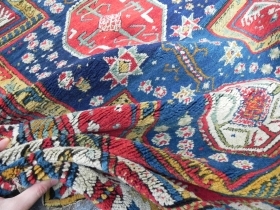 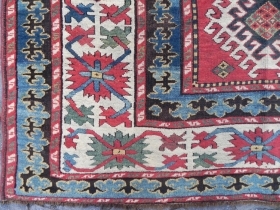 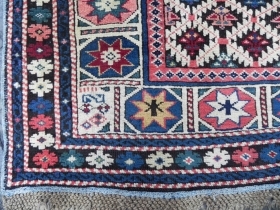 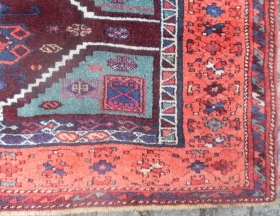 Antique Caucasian Akstafa Runner rug, 9.8x3.8 ft, full pile, lovely colours, late 19th century. 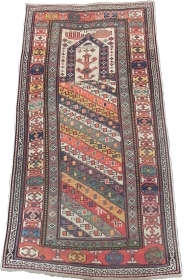 Caucasian Cloudband Kazak from the village of Chondzoresk in Karabagh, 5 x 8.5 ft, late 19th Century. 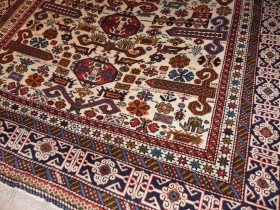 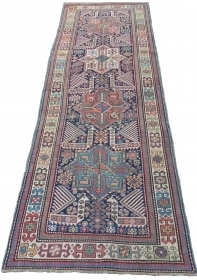 price: pls ask for a catalogue of recent acquisitions,, over 250 quality antique Caucasian rugs in stock now, surely there is one for every taste..
a Distinctive Antique Caucasian Kazak Runner with beautiful colors and soft lustrous wool, 3.4x9.4 ft (104x287 cm), late 19th century. 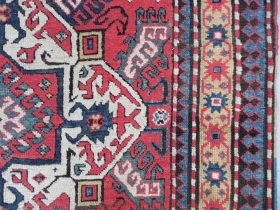 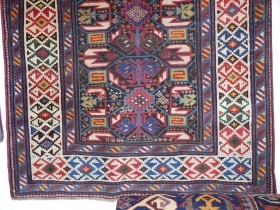 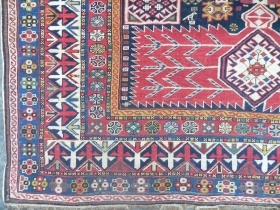 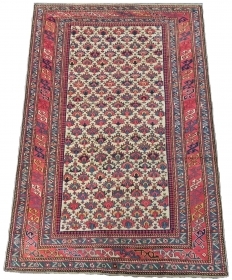 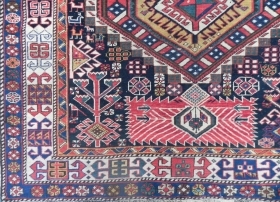 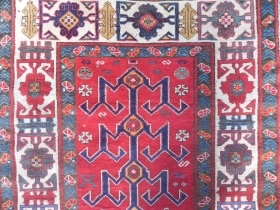 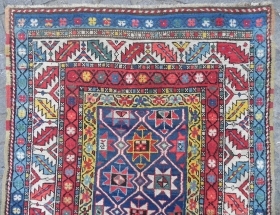 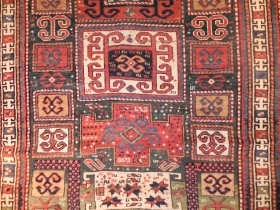 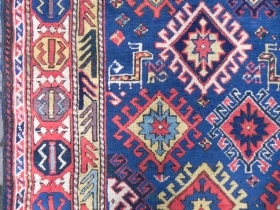 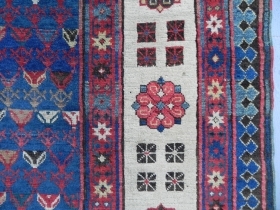 a Caucasian Karabagh Kasim Ushag Rug, 4 x 7.5 ft (122x229 cm), 19th Century. 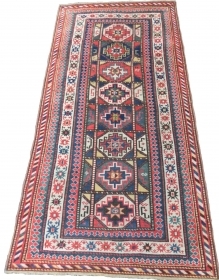 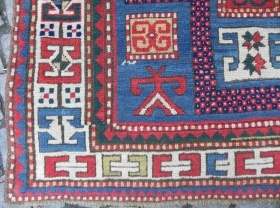 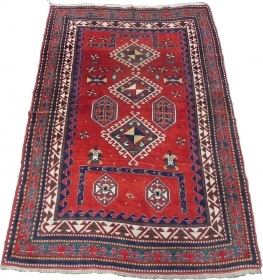 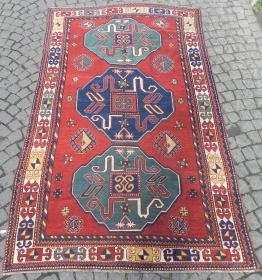 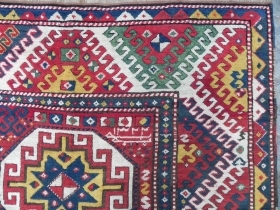 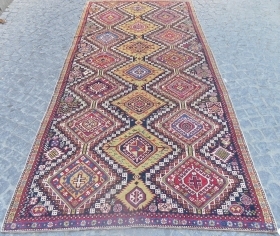 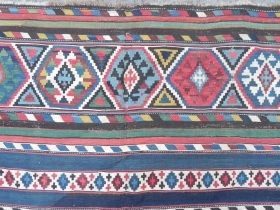 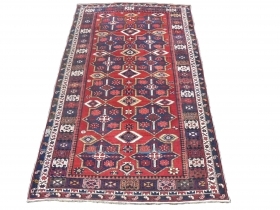 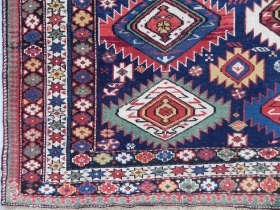 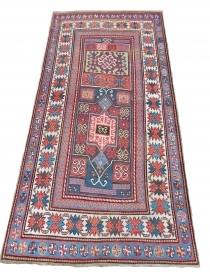 Antique Caucasian Gendje Runner, 3.4 x 9.5 ft, second half 19th Century. 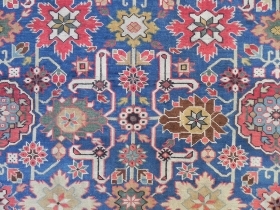 An Antique Caucasian Shirvan Rug, 4.3 x 6.1 ft, late 19th Century, good condition, not washed, not restored. 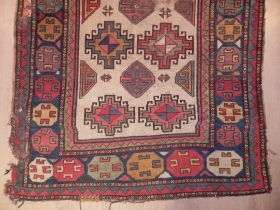 Caucasian Kazak Rug, 7.2 x 4.11 ft, Dated 1305 (1887 ad), full pile, original ends and sides. 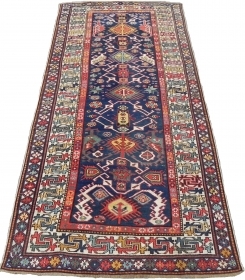 An Exceptional Antique Caucasian Kazak Rug, 7.1 x 4.2 ft (216x128 cm), mid 19th Century. 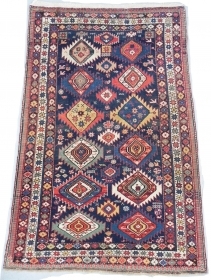 Large Antique Caucasian Shirvan Kuba Rug, 8.5 x 4.5 ft (260x137cm), full pile, late 19th Century. 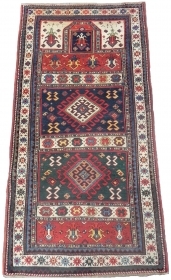 Large antique Caucasian Shirvan Rug, 10.7 x 5.3 ft (326 x 162 cm), late 19th century. 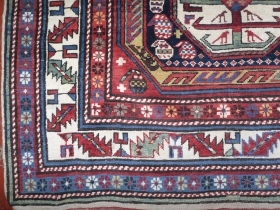 Antique Caucasian Shirvan Kilim Rug, 10.5 x 6 ft (320x183 cm), Provenance: The Henry and Sula Walton collection, Scotland. 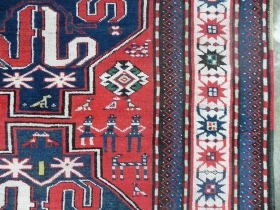 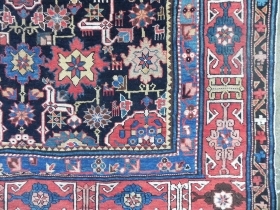 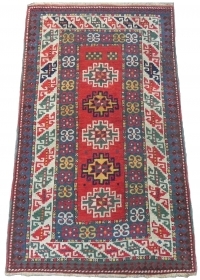 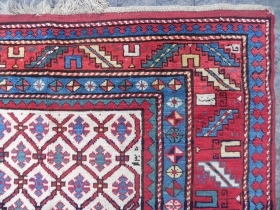 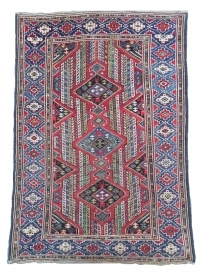 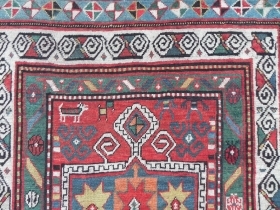 Caucasian Kazak Rug, 244x122 cm (8x4 ft), late 19th century. 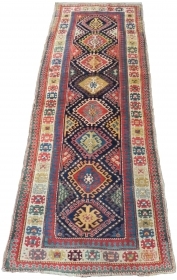 Antique Caucasian Shirvan Prayer Rug with hands, Dated 1285 (1868 ad), 5.9x3.2 ft (180x98 cm). 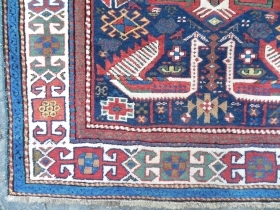 Antique Caucasian Kazak Rug, 7.9x4 ft, 19th Century, condition report available on request.